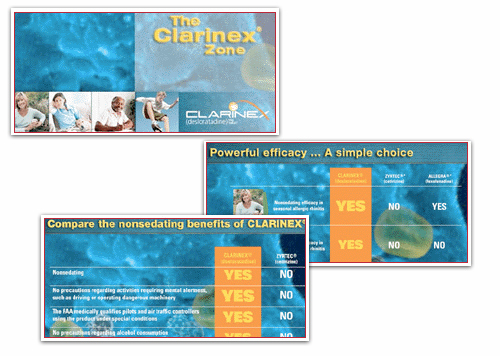 Clarinex is a prescription allergy relief product marketed by Schering Plough, a major pharmaceutical company. A Pittsburgh interactive agency was hired to create an interactive computer kiosk game that would engage physicians. The agency hired John to write the story and script.